This is a great restoration of a seminal film. Masters Of Cinema has done it again. They release high quality material. 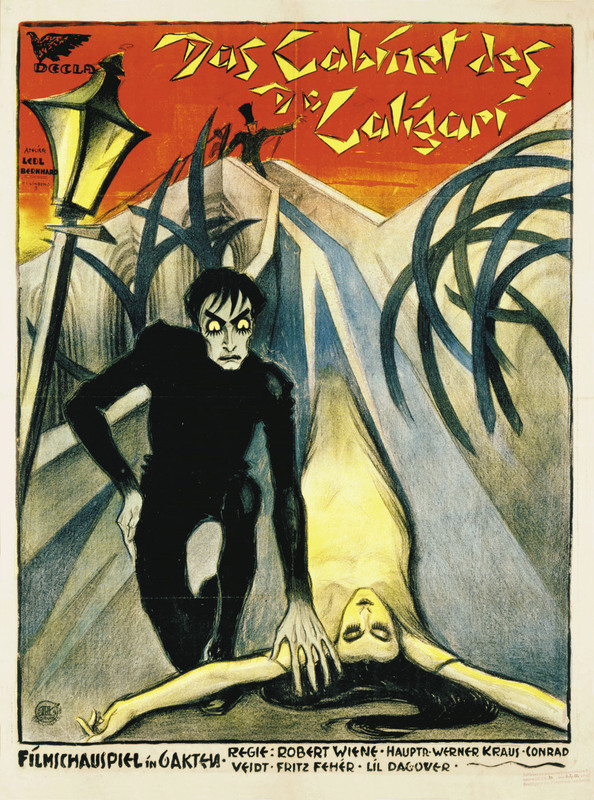 The Cabinet Of Dr. Calgari went through a rigorous restoration by the F.W. Murnau Siftung. The original camera negative was used whenever possible, I believe for most of the film except the first reel. You can see so many details that were lost, like the chalk lines on Cesare the somnambulist’s black outfit and the painted sets, costumes, and characters faces have never looked so good, so full of expression. It is fascinating to watch a film that takes place in such an unrealistic setting, almost all scenes were photographed in front of painted backgrounds and yet is so effective. A miraculous achievement. This film was a huge commercial hit as well. Perhaps owing to it’s unorthodox “You Must Become Calgari” ad campaign. It brings to mind Hitchcock’s “The Birds is Coming” campaign years later. 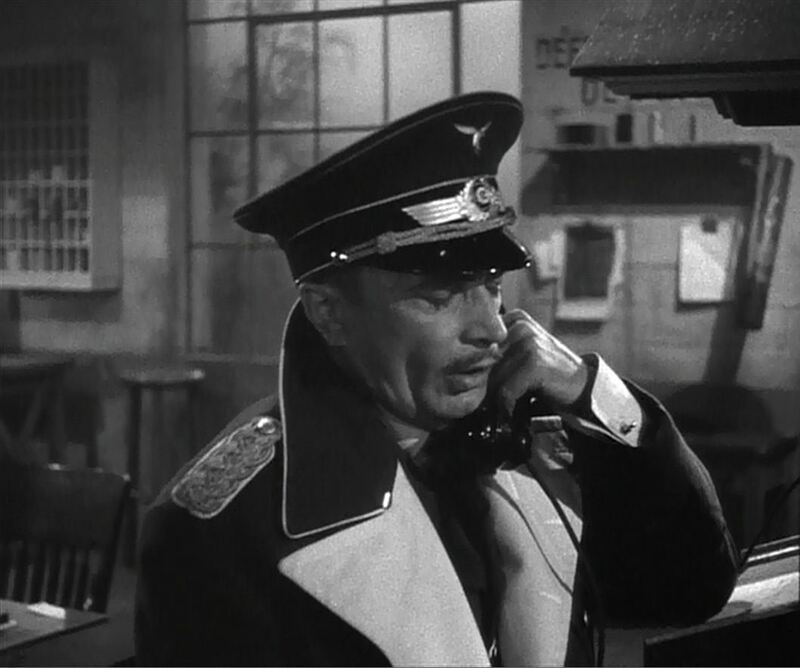 Hitchcock did spend some time as a young man at Ufa Studios in Germany, maybe he was influenced by Calgari. Tony Perkins does resemble Cesare, Cesare (Conrad Veidt) later played Maj. Strasser in Casablanca, the Nazi Bogey shoots at the airport. He was also in The Thief Of Baghdad with Sabu. 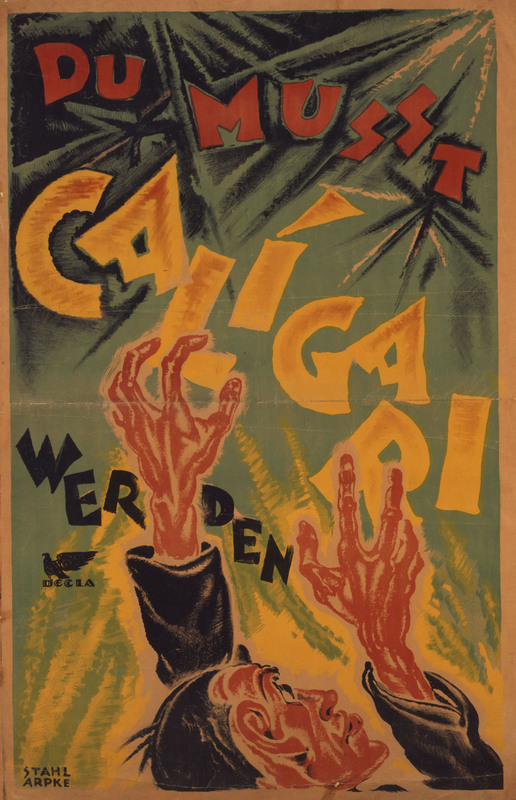 There’s a story that Fritz Lang wanted to direct Calgari but wasn’t able to do so because of other commitments, I believe it, Lang later went on to direct the DR. Mabuse films and The Testament of Dr. Mabuse shares a similar theme with Calgari, the head of an insane asylum is an evil maniac, spreading mayhem and murder.Lang was not above borrowing from his peers, in Murnau’s Faust, a fantasy sequence shows rising rings of energy surrounding the transforming Faust, this same imagery was used by Lang in Metropolis during the creation of the robot Maria. Such an incredibly rich period of German Filmmaking! 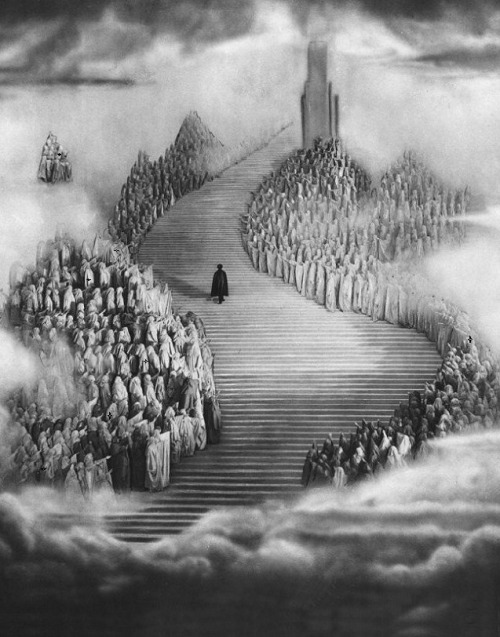 They really set the stage for fantastic, dark, atmospheric, dreamlike Cinema. Then they fled Hitler came to the USA and created Film Noir, a great legacy. 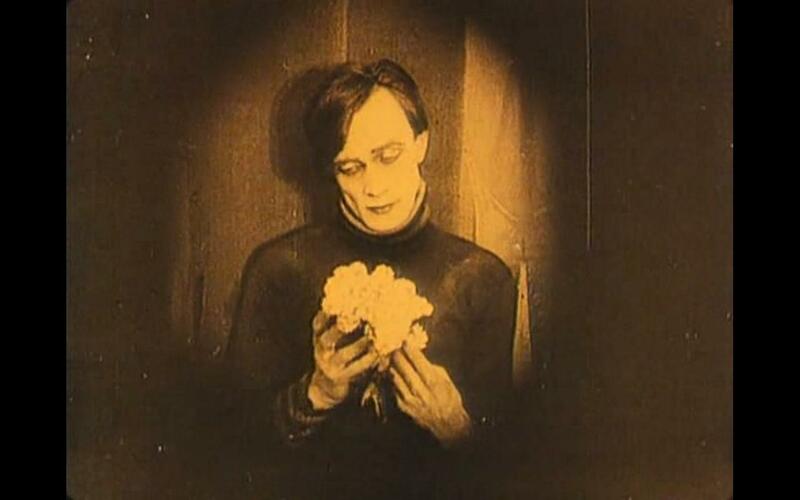 UPDATE: I recently read that Murnau’s grave had been broken into and his head was stolen. They found melted wax at the scene from candles, suggesting an occult angle. 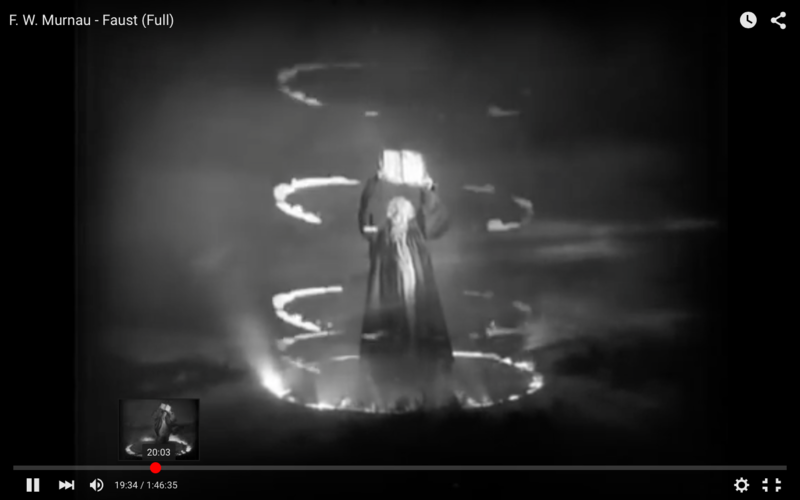 Satanists wanted the skull of the man that made Nosferatu and Faust?